Filipa works for Transition Network, the small charity which aims to inspire, encourage, connect, support and train communities world-wide as they self-organise around the Transition model. She is a Portuguese forest scientist by training. After 10 years working in EU Institutions and organisations related to sustainable development, she quit her job to dedicate herself fully to the Transition Movement. 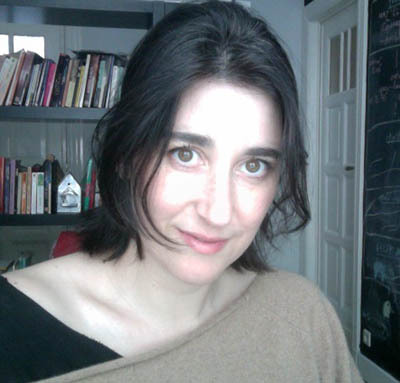 Filipa is International Coordinator of the Transition National Hubs, exploring with people all over the world how to develop the social infrastructure, collaborative culture and new forms of leadership capable of supporting a distributed movement for social change. She also acts as a bridge between Transition Network and the EU (and other Brussels-based organisations). She is co-founder of a Transition Initiative in Portalegre, Portugal and initiator of AJUDADA, an experimental community empowerment international event, under the theme of gift economy. I feel excited and interested to join the Lush Spring Prize judging panel, seeing this as an opportunity to contribute in a different way to the systemic change many of us are dreaming of.